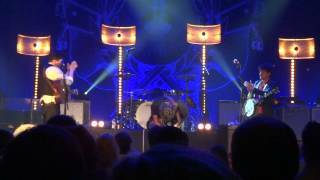 Mar 08, 2012 · Mumford and Sons play "The Boxer" at The Ryman on March 7, 2012. Mumford & Sons - The Boxer & Awake My Soul (night #3) with Jerry Douglas & Dawes | See more about mumford sons, mumford and awake my soul. Mumford & Sons are an indie folk/bluegrass group formed in London in ... The Boxer (Featuring Jerry Douglas & Paul Simon) ... 10 Mumford And Sons - Awake My Soul. 3. Mumford & Sons, feat. Jerry Douglas - "The Boxer"
The Backyard: Mumford and Sons - "Awake My Soul"